My twin sister got the classic Hermes' Medor watch for her birthday a few years ago, and I have eyed it covetously ever since. I was thus pleased to find this Medor-inspired wraparound ticker, which also features the same dog collar-like spikes and doubles as a cool bracelet. It also comes in black. 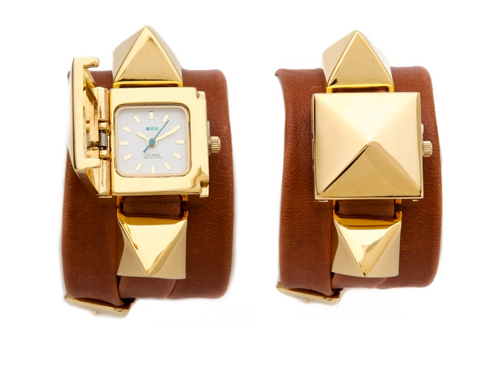 I like a double duty/look - watch and bracelet. Very cool.